Over the long weekend in August, the Kaslo Jazz Etc Society presents the annual Kaslo Jazz Etc. Summer Music Festival. This festival brings together an eclectic and talented sampling of jazz, blues, Latin, and related music in an outdoor festival which has grown to become the area’s longest running cultural event. 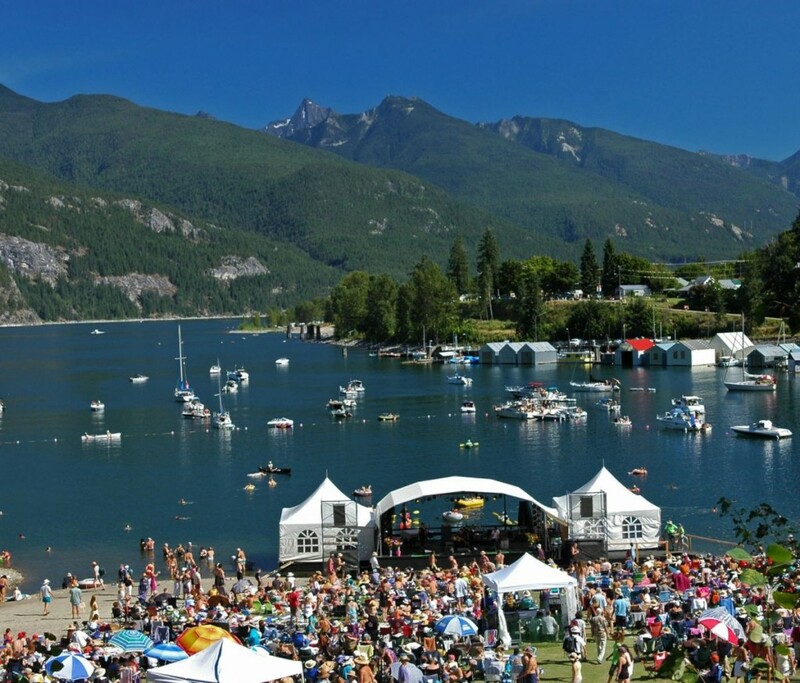 The Festival annually draws a crowd of 3000 – 5000 to the rural community of Kaslo and is a spark plug for this economically challenged region. The festival makes live music, performed by high quality, professional artists accessible to the local community, while drawing visitors from BC, Alberta, and the US. It has put Kaslo on the map as an artistic and cultural destination. Jazz Festivals Canada is a national network of 20 member festivals committed to the development and vitality of jazz presentation in Canada. Learn more.